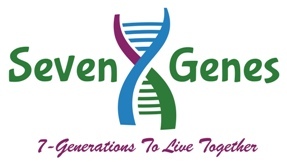 Pancreatic Cancer Treatment, SevenGenes, Inc.
CEOCFO: Dr. Subbiah, what is the concept behind SevenGenes, Inc? 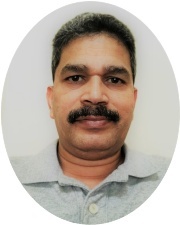 Dr. Subbiah: We are a small molecule based chemotherapeutic drug development company for (Pancreatic) cancer with reduced toxicity and improved efficacy employing a novel delivery technology. We are developing novel drugs combing old molecules with a novel delivery agent. We are currently a pre-clinical stage company and we would like to move forward filing our drug candidates with the FDA. Basically, we are a pre-chemical stage drug development company. CEOCFO: How have you decided what drugs to look at and then how to pair them with a different delivery system? Dr. Subbiah: Before venturing into any area, it would be great to find out the bottle-necks in that area and find out what is needed urgently. I have a material science background and I wanted to do something in biotech and was looking for an opportunity in the drug-discovery, development area. One of the bottlenecks is solubility of drugs, which is one of the main reasons for the toxicity of drugs. This is also one of the main reasons that we do not have many potential drug molecules coming out of the discovery-labs. If a drug is not solubilized and gets into your system, then it is a problem. For example, if you are taking a pill it is supposed to dissolve in the stomach and it is supposed to go into the blood stream and go into the target. For example, if you are trying to cure some pathogens in the blood or some tumors in some distant sites, the drugs are supposed to go there, but it does not happen all the time. We see a lot of side effects. These drugs get broken down in some other organs and some other non-targeted tissues, leading to the destruction of cells in the other good organs and other tissues. When I was looking for some area to contribute, this solubility issue was one of the major bottlenecks. For example, ninety percent of the discovery pipeline drugs are discarded because of the solubility and toxicity issues; ninety percent. In other words, nine out of ten drug candidates that are being pursued in the lab are discarded because of solubility and toxicity issues. CEOCFO: Is there no way to have a sense of the solubility and the toxicity before you get too far along? Dr. Subbiah: We do all the experiments beginning with cells in the lab. Then move on to animals and then move on to humans if we can. In the process when you do it in the cells in the lab, you think this is a great molecule and you do not worry about the solubility then. However, once you must move to animals then solubility becomes an issue. However, drug development people tend to overlook that. They are more focused on efficacy than other issues in the beginning. Therefore, when they are screening candidates, I think the efficacy seems to be the focus and they lose track of other issues. However, when it comes to the next step, formulating the drug, that is when they must discard almost nine candidates out of ten. In addition, of the drugs approved by the FDA, forty percent of them are hydrophobic in nature. Therefore, four out of ten approved drugs are still hydrophobic in nature, so that it does not dissolve in the system properly and is leading to side effects. Those are the main issues. Therefore, if we can help solve those issues we can have a great impact in the drug discovery process. CEOCFO: What specifically have you been looking at or working on? Dr. Subbiah: For example, I became intrigued by this molecule called Triptolide. Triptolide is a kind of plant derived molecule and it is folklore medicine in China. However, in 1972 they developed the active component called Triptolide and since then people have been looking at these properties, but it could not become a drug in the United States; not yet. However, it is a very important molecule, much like Taxol that is in the market right now, an approved drug for many diseases, including cancers. Therefore, this molecule Triptolide has great potential. Anti-inflammatory, anti-cancer and immune-supportive properties have been studied in the literature. More than nine hundred publications have been made, but it is not a drug yet. Therefore, I thought that if I can bring that molecule with an improved solubility and reduced toxicity, I can develop it as a drug, and that was the beginning point. That is how I came up with this delivery technology, which is kind of known in the literature, but not to the pharma industry. This is called Nanomaterial containing Lipid-based Precision Delivery (NLPD) Technology. Since I am from a material sciences background, I thought why not use this delivery agent to combine hydrophobic molecules such as triptolide. Then I just combined those (SG101), made a product and studied the toxicity to begin with, and found that there is no toxicity associated with SG101 compared to bare triptolide. We were able to solubilize Triptolide in our delivery technology and then we wanted to check its toxicity and bingo; we were able to dose animals with no toxicity or less toxicity compared to plain Triptolide molecules. CEOCFO: Would you please explain your delivery technology? Dr. Subbiah: It is a lipid based nano-material containing liquid, and it is a powerful antioxidant. Therefore, this can prevent the deterioration of the active components that are present in NLPD and helps go through first-pass effect without much degradation when you take it orally. That is the main thing resulting in improved bioavailability. Many drugs that you take, leads to first pass effect, breaks down the active components in the liver, leading to unnecessary toxicity. We can avoid this by using our technology. Also, NLPD protects and stabilizes the active component and delivers to the blood stream. Therefore, we see higher bioavailability of this active component in our delivery technology, compared to any other delivery technology that we have seen. That is a great point to begin with. Then we went ahead and did the efficacy testing of SG101 in the pancreatic cancer model. We created a version of a pancreatic tumors in xenografted, as well as orthotopic mice model, and found excellent results. That is the stage we are in. We are a pre-clinical stage company. Dr. Subbiah: First, we want to do GLP toxicity and IND enabling studies. Whatever we have done till now are done at non-GLP facility. IND-enabling studies are expensive in nature and we need help with funding. Once we do that then we go to the FDA and file for an Investigational New Drug (IND) and then take it as a new chemical entity and go to clinical trials in humans. We would like to bring it to humans as soon as possible. The value of the company then will be 10-times higher than what we are today. We have compared our formulation (SG101) with the standard of care, Gemcitabine and found that we are better. We believe our formulation, SG101 is going to be great and going to be more effective and less toxic than the standards out there for treating pancreatic cancer. Till now we have been working with friends and family funding and right now we need at least $0.5 to 2 million more to complete the GLP-toxicity and IND-enabling studies which will put us to begin the human clinical trials. We just started talking to investors and that process has begun, which is a tedious process and very essential for us to sustain and bring a novel drug product with improved performance to the market. CEOCFO: What has been the response from the medical community or people that know what you are doing or what you are trying to do? Dr. Subbiah: I would say that most of the people (>95%) that we talk to like the technology and they see. They agree that this is an unmet need to bringing in new molecules to the industry with less toxicity and improved performance. Right now, immunotherapy, and gene therapy are on the forefront and with great potential but still with less success rate. Chemotherapy is not going anywhere at least for the time being and fresh minds like Sevengenes are needed in this area. It is not a buzz area, but essential area. Most of the people we have talked to have liked our product and out approach. We are looking for that right person or entity to listen to us and help us move forward. We talked to few pharma businesses and it looks like what we have is a great technology, but they want us to grow a little bit bigger so that we can become a target for acquiring or collaboration. If we move forward a little bit more and get into Phase 1 clinical trials, there is a great chance that this company can become big. CEOCFO: Why pancreatic cancer? Why is that the first target? Dr. Subbiah: We are all affected by cancer, either directly or indirectly, through relatives or someone close we have lost. I have lost few from cancer and especially pancreatic cancer, which is a lethal disease. This year about fifty-four thousand people (55,440) will be diagnosed in 2018 with pancreatic cancer here in the United States. Out of that, forty-four thousand people (44,330) will die this year alone according to American Cancer Society. It is a lethal disease. When you look at these statistics it is so sad. The current standard of care can�t help much than providing 4-6 weeks of additional time for the patients. It�s pathetic that we don�t have decent drug that can prolong patient�s life considerably. It is an unmet medical need in finding a treatment for pancreatic cancer. It is one of the diseases where we need some quick help. Therefore, if we can help in that area and can show even six to eight weeks additional improvement over the standard of care it would be great. That is why I chose pancreatic cancer as the target. CEOCFO: Address our readers in healthcare and the investment community. Why should they pay attention to SevenGenes, Inc today? Dr. Subbiah: The initial data that we have obtained clearly shows that our product, SG101, is novel and we are able to address the issue of solubility and toxicity of chemo therapeutics successfully. We are trying to prove that our delivery technology can be a platform, rather than for just one molecule. We have started working on ten other molecules, for example with Paclitaxel, which has been shown to have greater bioavailability in our available technology compared to Cremophor (Taxol) that is there in the market. Clearly, we have shown that the solubility and toxicity of many hydrophobic molecules can be improved dramatically with our NLPD technology. We strongly believe we can help improve patient�s outcome to begin with pancreatic cancer patients. Our SG101 can treat many other solid as well as liquid cancers. SG101 is potential to treat inflammatory diseases, can be immunosuppressive as well. Therefore, please help us move through FDA and bring out an effective chemotherapeutic to the world. Help us help patients.